The Age of Jackson saw an almost fervent spread of democracy: widespread political engagement, shrinking power to the rich and important, suffrage granted to all white males, and extreme devotion to party. 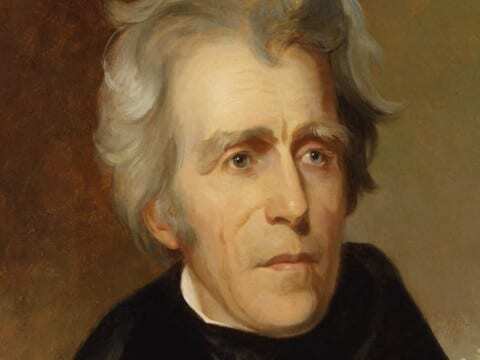 However, it was also a time of great corruption and inequality with rampant slavery, the Trail of Tears, and even the spoils system implemented by Jackson himself. Many historians dismiss Jacksonian Democracy as a confused sense of democracy, a contradiction in itself. Still, others see it as an “imperfect precedent for progressive politics.” Certainly, Jacksonian white supremacy was very real, but so was Jacksonian Democracy. In the Age of Jackson, there was a scoff at privilege, a cry against Washington aristocracy, a call for the common man. Looking at it now evokes shame and disappointment: women, blacks, and Native Americans were treated inferior in every aspect of life. Discrimination was a defining feature of Jackson’s America. However, our modern political system and modern American democracy took roots in the Age of Jackson. White male suffrage, diminishment of the power of the elite, and the rise of the Democratic Party were the building blocks for our modern American democracy. The election of 1824 saw a change in the United States. What had been an aristocratic republic since the nation’s founding, gave way to mass democracy. Though he won the popular vote by a large margin, Jackson lost the election of 1824 because he could not gain a majority in the Electoral College and then lost when the vote went to the House of Representatives. His followers cried blasphemy, claiming that Jackson was cheated since the representatives clearly did not vote in the will of their constituents. The popular demand for Jackson came from the fact that he was unlike any previous politician –an orphan and a war hero coming from next to nothing– who campaigned right when suffrage had been expanded to include all white males. The appeal of a common man representing the common people was unstoppable. From the appeal came the emergence of the Democratic Party: Jackson’s child. To this day, the Democratic Party continues to affirm that they are the champion for the people. The Democratic Party was solidified in the late 1830s during Andrew Jackson’s presidency. The party gained most of its followers from Jefferson’s Democratic-Republican Party. The Democratic Party stayed together pretty much from Jackson’s presidency until the Civil War, and won the presidential election ten times in those 133 years. Any opposing party to the Democrats only won three times in those years. This long reign of success solidified the Democratic Party as a major party for the rest of American history will the other opposing parties faded and new ones emerged. The two-party system arose from simply and anti-Democrat and anti-Jackson sentiment, creating the Whigs which would eventually become the Republican Party. Though it evolved as time went on, Jackson’s Democratic Party set the foundation for the modern two-party system that we see in modern American politics. Andrew Jackson in the Modern World (3) by Olivia is licensed under a Creative Commons Attribution-ShareAlike 4.0 International License.